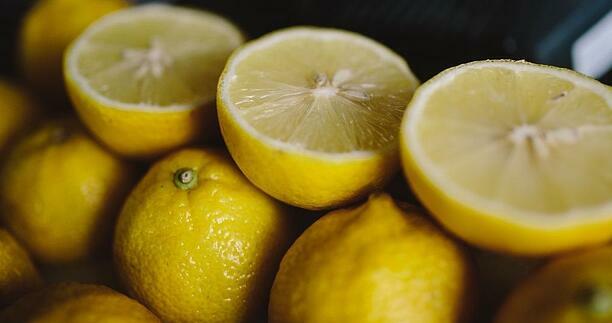 The Lemon - a humble piece of fruit or a deadly marketing tool? I’m delighted to share with you a phrase that we often use on the Business Growth Programme (BGP) – squeezing the lemon! Those of you who have been through BGP will know that this is one of our tools for helping owner managers to unleash growth from their existing clients. So how do we do it? Firstly, let’s talk about lemons! We all buy them. We all use them – or do we? I don’t know about you, but I often need half a lemon for a recipe. I take the lemon, cut it, and put the other half in the fridge. And around a week later, I notice it lurking there at the back, looking a bit sorry for itself, and I put it in the bin. I have not got the juice out of my other half lemon. So the question we ask owner managers is this: have you forgotten to squeeze your lemons? A lot of companies simply forget to ask their existing customers for more work! Most of us running businesses spend a huge amount of time winning work. We pour time and resources into meetings, proposal writing, and setting up new clients. And then we go and do the same again. What we can forget is that we need to go back to existing clients and see if they have another project, another piece of work that they may need some help with. This type of work is much less heroic than winning a new customer, but generally speaking it is a lot easier, as we have got a relationship of trust going, have proven our capabilities and are maybe even considered part of the furniture. This is obvious of course when you think about it, but you may be surprised to hear that a lot of companies simply forget to ask their existing customers for more work. From experience of working on the Business Growth Programme, I have seen owner managers cover the cost of the programme multiple times over from this one activity. So why haven’t they done it before? In my experience, this can be partly about the people who deliver the projects and work, they are often the next level down in the organisation and they see their role as ‘doing the job’, they feel embarrassed in asking for work, and don’t see it as part of their remit. So how do you get round this? Sometimes simply explaining what is required and how to do it (including role play) can get people on board. Sometimes it needs to be explicitly set as an objective either in terms of outcomes (work won) or simply asking the question (how much information have you found out?). Embedding the answers to these questions in weekly team meetings helps companies to stay with lemon squeezing as a process. This, in turn, feeds your knowledge about the immediate opportunity and gets asking customers into the cultural DNA of your business. Now that is a powerful type of fruit indeed! Why not take 5 minutes right now and squeeze one of your lemons? Pick up the phone, send an email, whichever works best and let us know how you get on in the comments. Thank you to Carol Foussat (BGP Counsellor and Cranfield School of Management Visiting Fellow) for this blog post. How ready are you for Business Growth?